But if you’re not the kind of person who automatically sees the funny side of life, you may find writing humorous picture books difficult. (And even if you do see the funny side of life, like me, you may still find it a struggle.) So here are some tips to showing editors and agents “the funny.” And if you’re playing my online scavenger hunt, here is one of the names you’re looking for: Sabrina. Put two things together that don’t normally go together. This already sets the scene for a humorous story before you’ve even written a word. 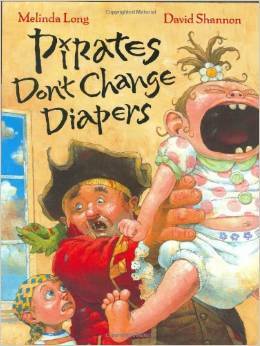 For example, Melinda Long puts ‘pirates’ and ‘a baby’ together in Pirates Don’t Change Diapers (illustrated by David Shannon). Who can resist laughing at babysitting pirates, especially when they think they’ve been given the task of sitting on babies. Some of the funniest books to read are those in which the illustrations contradict the text. 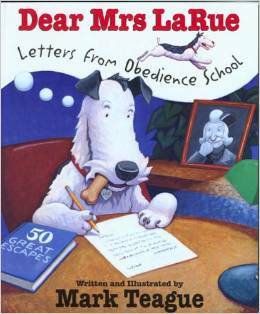 Mark Teague does this so well in his book, Dear Mrs. LaRue: Letters from Obedience School. In the book, Ike begs to be rescued from dog obedience school. He writes letters home to Mrs. LaRue, complaining about the school and painting a bleak picture of it, while the color illustrations tell a very different picture—that of a luxury, high-class school that is more akin to a spa retreat. Okay, so it doesn’t appeal to everyone, but most kids of average picture book age, love (and I do mean LOVE!) potty humor. 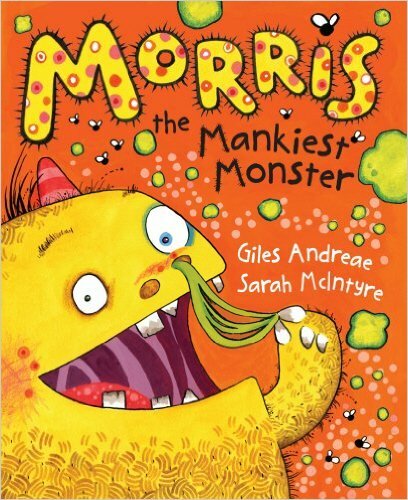 And if you’re looking for an example of a book that is super-duper, hilariously disgusting then look no further than Morris, the Mankiest Monster by Giles Andreae and Sarah McIntyre. Morris lives in a house made of dung and eats green bogies. Need I say more? Be it nonsense words, puns, tongue twisters, or other word play techniques, using fun language can add humor to a book. And the sillier sounding the language, the better. A picture book author that knows how to use word play to its best effect (and one to study) is Margie Palatini. 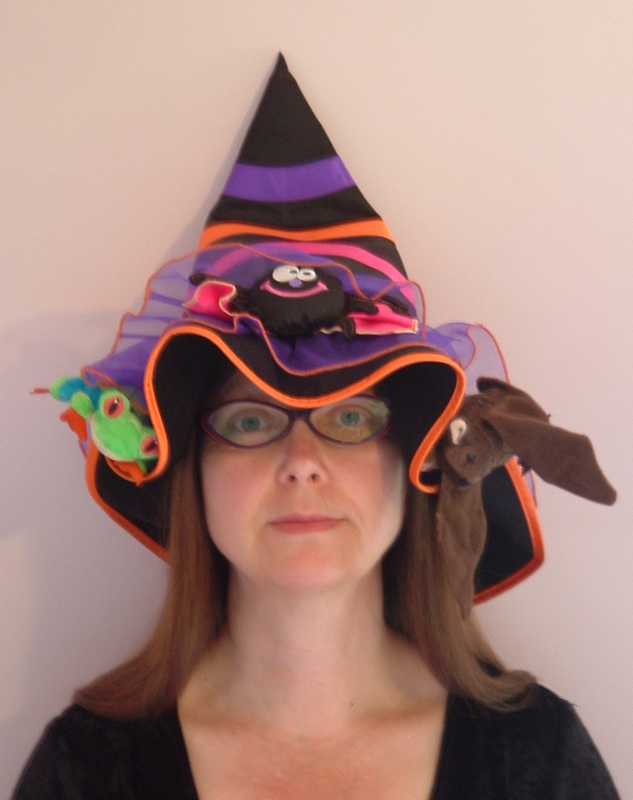 With titles like Broom Mates, Moosetache, and Gone with the Wand, you already know she’s an author who likes to play with words. 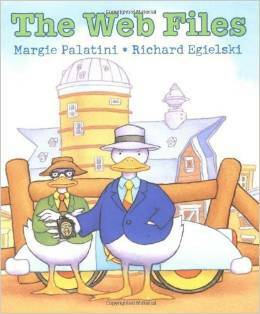 In her book, The Web Files (illustrated by Richard Egielski), someone has pilfered a peck of perfect purple almost-pickled peppers and Ducktective Web must investigate the fowl play. While it proves to be a hard case to quack, he eventually finds the dirty rat involved. Now how’s that for some fun word play? Another way to ensure your book is humorous is to add a twist. Your book should be anything but predictable, so surprise your audience. 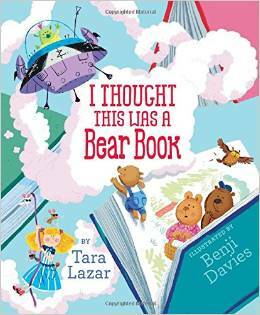 A recent book I’ve read that accomplishes this is I Thought This was a Bear Book by Tara Lazar and Benji Davies. The entire book is a twisted fairy tale with an alien accidentally falling into the pages of Goldilocks and the Three Bears. But while some of the elements in the book, like the appearance of Goldilocks, porridge, chairs, and beds are expected, these elements are mish-mashed with the story of the alien, making for a completely new and unpredictable book. And just when you think you’ve got the book sussed and the happy ending is looming, a further twist shows up on the last page. But to find out what it is, you’ll have to read the book! Illustrations are another way to inject humor into your picture book. However, since this is a post about writing, rather than illustrating, I’m not going to say much here, except occasionally–and only VERY OCCASIONALLY–if you come up with a strong, visual image that would enhance the humor in your text, then you might want to consider inserting an illustration note in your manuscript. Humor is subjective so employing these tricks is no guarantee that every editor or agent will find your book humorous, but you’re sure to tickle a few funny bones. Thank you for hosting me today, Laurie! I’ve had a great time and I hope everyone will get writing and “show them the funny”! Thank you for being here, Rebecca. Lots of great advice for those who want to write “funny.”Here’s more about It’s Raining Bats and Frogs! and about Rebecca. Be sure to use that Scavenger Hunt clue. Delia has been looking forward all year to flying in the annual Halloween Parade. But parade day brings heavy rain. So, Delia takes action. Using her best magic, Delia changes the rain to cats and dogs. But that doesn’t work too well! Then hats and clogs. That doesn’t work, either! Each new type of rain brings a new set of problems. How can Delia save the day? When not staring at blank pieces of paper, Rebecca can be found scribbling on napkins, walking into lampposts, and talking to herself. You can learn more about Rebecca and her strange habits at www.rebeccacolbybooks.com Alternatively, check out some of her one-sided conversations on Twitter at @amscribbler. Rebecca is the author of It’s Raining Bats & Frogs (Feiwel & Friends/Macmillan, 2015) and There was a Wee Lassie who Swallowed a Midgie (Floris Picture Kelpies, 2014), and the forthcoming Motor Goose (F&F/Macmillan, 2017). Check out some of these other sites for clues to the Scavenger Hunt. I love that you gave examples! Thanks. I agree, they are challenging. Hope the tips help you with your books, storyfairy. Thanks, Storyfairy! I hope they prove useful with your own writing. What a fantastic discussion! Very succinct, and the examples are perfect. Do you teach a workshop in this area, too? This would certainly be a strong class, I think. Thank you, Laura and Rebecca! What a great idea, Bobbi! I’d enjoy taking a class like that. Thank you, Bobbi! I’ve taught general picture writing courses before. Focusing solely on humorous books might be a good idea. I love word play with a twist, too. Watch out for those lampposts, Rebecca and thanks for sharing her informative words, Laurie! Ha! I walked into another lamppost this week while plotting a story. 😉 Thanks for your comments, Marcia! I thought this an excellent addition to the notes on my blog about writing picture books. Thank you Rebecca and Laurie for sharing. Thanks for reblogging, Kate! Hope it helps your readers. Thank you for reblogging the post, Kate, and for stopping by! Cheers! Really enjoying following this tour and the scavenger hunt!! Thank you! Loving the book tour,Rebecca really seems to love writing and what she does. Yes, she does, doesn’t she? Thanks for stopping by, Darija, & glad you’re enjoying the tour. Glad you enjoyed it, Da Ario! Good luck with it! Hope you find all the clues. They look like great books, enjoying the scavenger hunt. Glad you’re enjoying the scavenger hunt, Jade! And, yes, the books are all fun reads. I’m on the hunt but like the sound of Morris the Monster! I’m also on the hunt. These blogs are making me want to get writing. Enjoy, Suzie! And that’s wonderful that this has inspired you to write. I think Morris the Monster lives in our house! I agree, Elisha! They’re so much fun, aren’t they? Great advice 🙂 Loving this! Thanks for letting us know, Victoria. Thanks for the tips, Rebecca. You certainly know how to do humorous! She sure does, Penny! Thanks for stopping by. As do you, Penny! Thanks for stopping by and reading the post. A big thank you to everyone for stopping by to read the post and for your kind comments. And good luck to all of you participating in the scavenger hunt. Results will be announced soon!